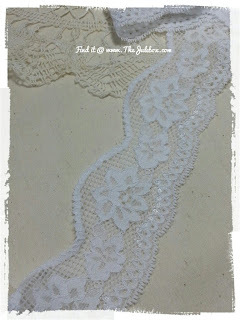 "The Jule Box Studios": Laces and Trim ~BLOW-OUT~ Sale!! Laces and Trim ~BLOW-OUT~ Sale!! Today I wanted to share this BLOW OUT SALE news!! 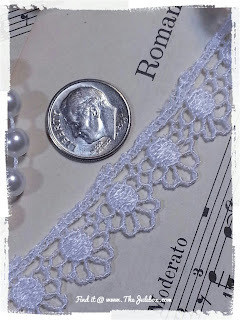 trims I have in my Lace Listing! **Sale will run till I am all out!! There is 1 "Grab Bag"! If you are International, Please choose the second or third option in the PP button! *Please remember that my "Store Policies" in the navigation bar above still applies to this sale as it would any other. I AM NOT responsible for any Manufacture defects. Some of these laces and trims are a little aged (some were my moms from years ago) Thanks! **Due to shipping rates increases, the price of this bundle has gone up. So if you notice that the cost is higher, this is why...totally out of my control. This is the 3rd time I have changed the bundle due to my running out of my stock of laces and trims! Thanks everyone for your support! This new trim is very cute and dainty! used as a "peek-a-boo" trim!! This is a great deal!! I really appreciate that you've stopped in today, you all have no idea how much I truly appreciate all your support! This little humble shop is a dream for me to have and has become a small source of income for me. It also keeps me busy thinking about other things other than my physical issues which many of you already know about. 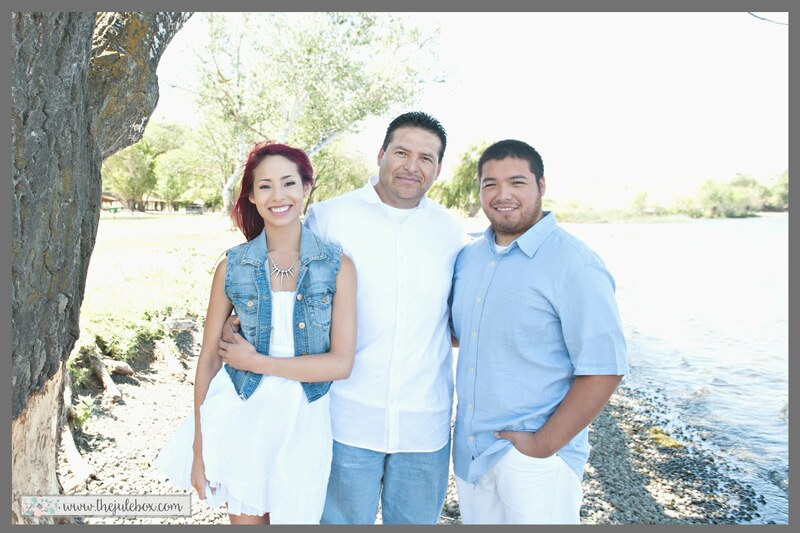 I am so very blessed to have you be part of my life. You encourage me, uplift me and make so many of my days better! Thank you so very much...with all my heart, thank you!! These are beautiful and I would love to win some. What with many illness and problems this past 7 months my $ is low or I would purchase. Thank you so much for the chance. Happy Day! I placed an order but would also love to win your beautiful laces. Thanks a bunch! 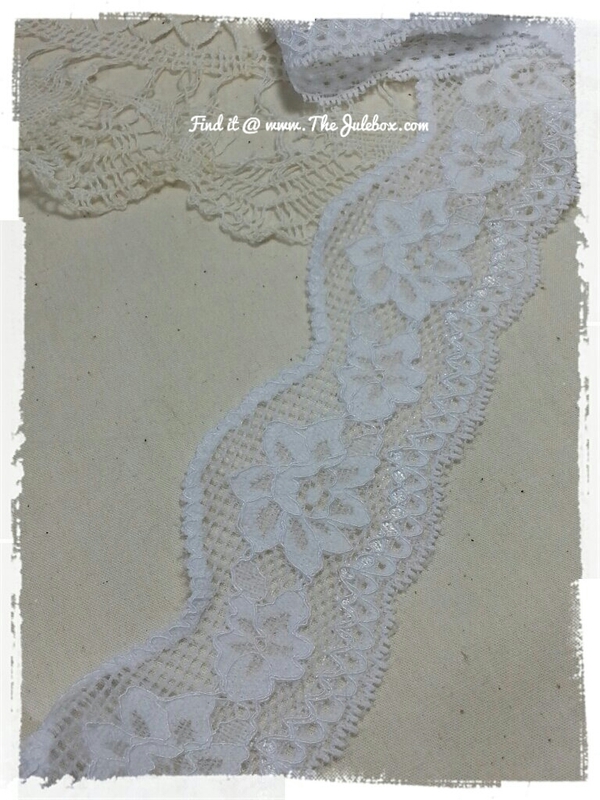 Beautiful trims n laces! I don't usually use those but I think I might give them a try! Great deal too! Thanks! You have a great website to look at and I love the work you do-thanks for sharing. 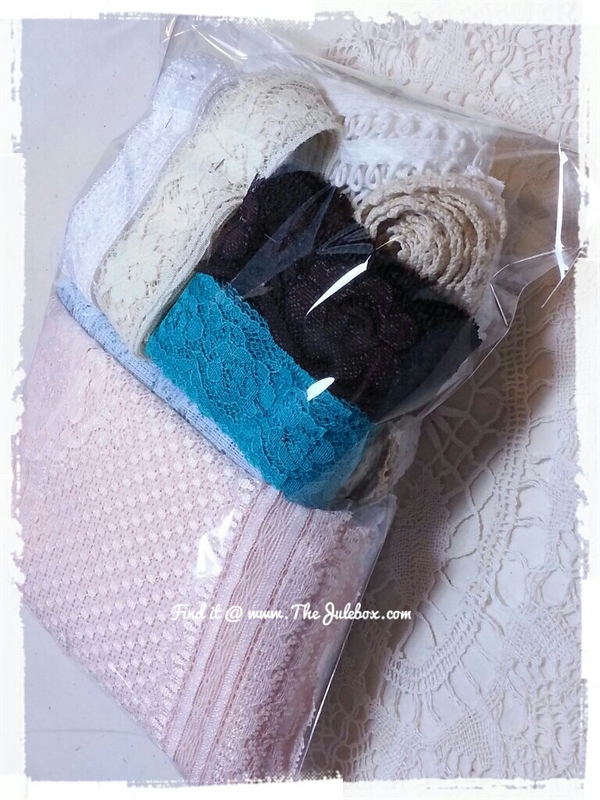 Love your selections of ribbon and lace. Thanks for providing a chance to win a sample! Hi Jules! 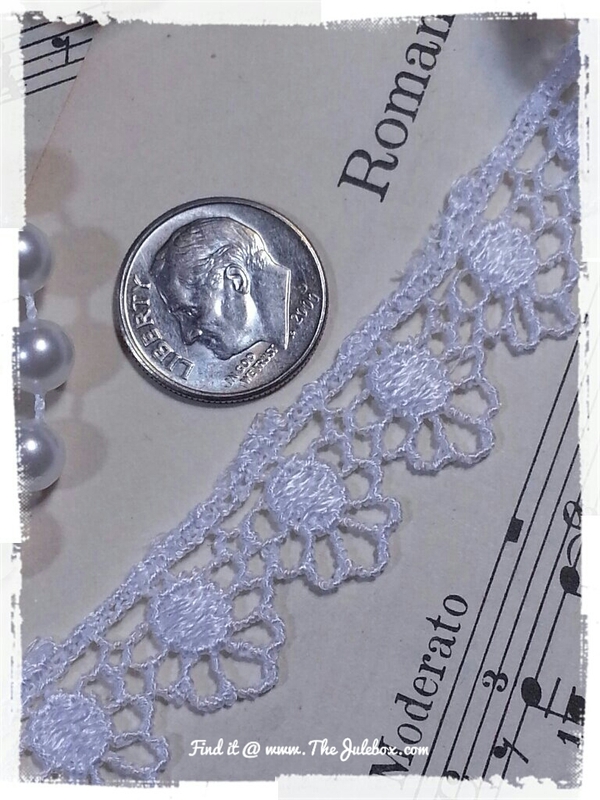 I placed an order, but I was wondering if you'll be discontinuing the sale of laces & trims in your store? I've loved purchasing your trims & hope to purchase other items from you in the future. I was just curious if you're completely clearing out. Big hugs, Patrice! Hey sweet Jules! I just placed an order! 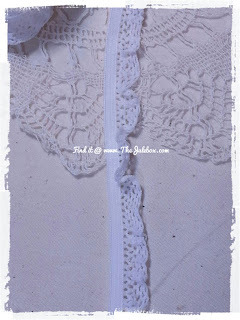 I can't wait to get these beautiful laces and trims in my hands! Thanks for the chance to win your beautiful laces! Have a blessed day! All of the laces look so pretty. Thank you for being so generous and having this contest. I'm really looking forward to getting these laces! They are so beautiful! and still same price LOL.. I received my package today and I love love love it. Thank you so much!! Hi, I just placed an order and thank you for the chance to win! New Postage rates for 2013! Prima's "Nature Garden" Birthday Card!